Colourful, refreshing and so satisfying, this fragrant aubergine salad with curry yoghurt, chilli and pine nuts is aubergenius! Pre-heat the oven to 200°C (gas mark 6). Cut the aubergines into 1cm thick slices and brush both sides with olive oil, then sprinkle with salt and pepper. 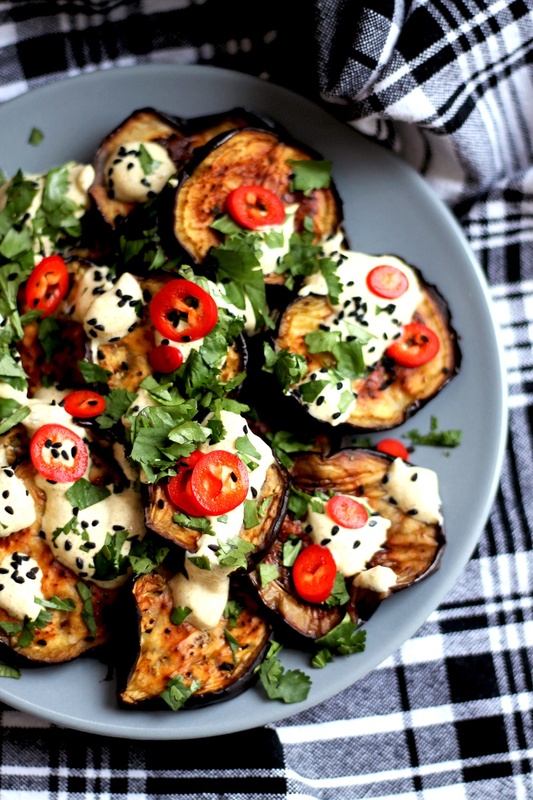 Spread the aubergine slices onto a baking tray and bake for 30 min (or until golden brown). In a small bowl, mix together the Greek yoghurt, curry powder and chopped garlic. Season with salt and pepper. To serve, layer the aubergines onto a large plate, drizzle with the curry yoghurt dressing, sprinkle with the toasted pine nuts, sliced red chilli and chopped coriander.